Draining The Data Swamp: Who Owns The "Virtual You"? 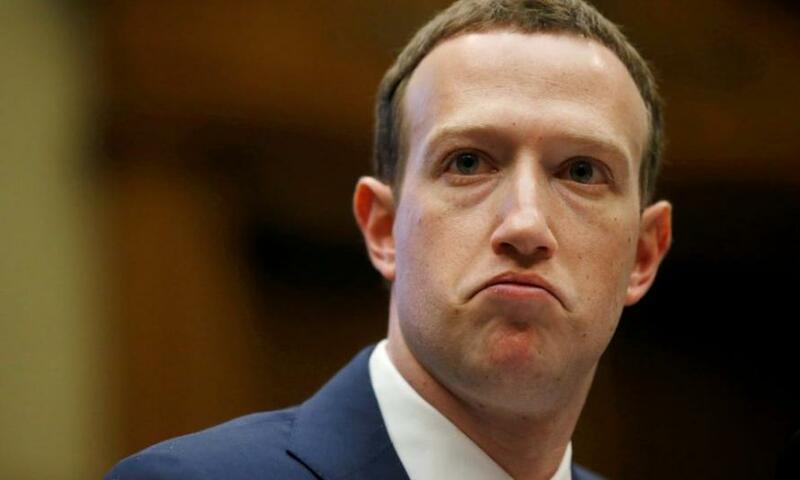 For all the raft of unanswered questions or dismissal as a nothingburger, Facebook CEO Mark Zuckerberg’s two-day grilling at Capitol Hill hopefully may unleash a serious global debate about our virtual selves. US politicians, it seems, have discovered the merits of the European Union’s General Data Protection Regulation (GDPR). The EU is actually at war with the GAFA galaxy (Google, Apple, Facebook, Amazon) and environs. The question for the US revolves around the immense legal twists and turns on how and what to regulate. An army of savvy lawyers at the Facebook HQ certainly envisaged that regulation might “stifle competition,” as some congressmen did not fail to point out. And some, naively, even gave the whole game away, asking Zuckerberg directly what kind of regulation he would prefer. Capitol Hill may not have noticed that Facebook and GAFA as a whole work pretty much like political parties disguised as companies. The founders/CEOs are major shareholders. Decisions have the imprimatur of a board working as a sort of political bureau. Congress is the shareholder general assembly. And the militants are the salaried mass addicted to a visionary movement. The whole process runs in parallel with the decline of traditional political parties. Even top counseling comes from the political arena, like former Obama operative David Plouffe, who moved to Facebook from Uber, and Joel Benenson, Bill Clinton’s top polls specialist. And it’s certainly very much a political issue how cyberspace trumps actual physical space. GAFA is always looking for nations that offer comparative advantages and privileges to dodge regulation and annoying redistributive fiscal obligations. That betrays a clear ideological choice. GAFA is all about Ayn Rand-inspired Libertarianism; minimum government and maximum freedom. Surf away from the crashing waves of the state. Regulation is for losers. Ayn Rand happens to be the supreme idol of PayPal’s Peter Thiel, Twitter co-founder Jack Dorsey and Wikipedia co-creator Jimmy Wales. And then there’s philosophy great Martin Heidegger. Peter Thiel, Linkedin founder Reid Hoffman, Instagram inventor Mike Krieger – they all followed the Symbolic Systems program established in Stanford in 1986 combining neurosciences, logic, psychology, AI, cybernetics and, yes, philosophy, with an emphasis on Heidegger. Add to it the role of Pluralistic Networks, founded by Chilean Fernando Flores, a former minister of Salvador Allende and co-author, with Terry Winograd (Google’s Larry Page’s mentor) of a book about Heidegger’s influence on information science, redefining intelligence, language and the limits of biology. Here we have Heidegger as the precursor of AI. One of the big shows in Brussels for years has been the debate on why GAFA refuses to pay taxes. Libertarianism is incompatible with direct tax deductions or regulations. What matters most of all is the philanthropic value of those entrepreneurs and their social importance in creating jobs. European egalitarian cynics, on the other hand, would describe them as a bunch of moguls bloated by un-measurable hubris praying to a doctrine of sovereign egotism. GAFA + Microsoft’s market capitalization reached a whopping $2.9 trillion last year – bigger than India’s GDP; their collected revenues are larger than Sweden’s GDP. According to the OECD, globally, states are not collecting as much as $240 billion a year in taxes. According to a 2015 report from the European Parliament, the EU loses as much as 70 billion euros a year because of “fiscal optimization,” due uniquely to the transfer of GAFA profits towards fiscal paradises. In The Black Box Society (Harvard University Press), Frank Pasquale stresses how the industry, facing no accountability, will end up risking the very own legitimacy of sovereign states. The main complaint in Brussels, as officials stressed to Asia Times, is that the EU’s “fair competition” model is being corroded. Yet the paradox is the EU – because of ferocious fiscal competition – is actually the largest tax paradise on the planet. The EU condemns international tax evasion while the enemy inside is represented by Luxembourg, the Netherlands and Ireland – a sort of Bermuda Triangle of corporate tax. The savory combination of a single free market and a sophisticated service economy in which almost no physical goods cross borders offers unlimited opportunities for tax evasion. No wonder the digital giants have accumulated over $600 billion in tax-free profits. While GAFA in the US essentially controls the politics limiting the capacity for regulation, Brussels will continue to insist the only path towards healthy regulation comes from the EU. The other model is of course China. Beijing has domesticated its sprawling digital industry – which is a de facto extension of the state apparatus as well as a growing instrument of global influence. When Zuckerberg was asked whether Facebook should be broken up – the monopoly issue once again – he said that would weaken the US’s competitive advantage against China, which by the way is fast disappearing. Facebook’s customer base though is not American; it’s global. Inside the Facebook HQ, the consensus is that it is a global company. So all these issues at stake – from monopoly to regulation to privacy – are indeed global issues. Zuckerberg dodged extremely serious questions. Who owns “the virtual you?” Zuckerberg’s response was that you own all the “content” you upload, and can delete that content any time you want. Yet the heart of the matter is the advertising profile Facebook builds on each user. That simply cannot be deleted. And the user cannot alter it in any way. The GAFA galaxy, in fact, owns you when you click accepting those massive terms and conditions of use. As argued by philosopher Gaspard Koenig, director of the GenerationLibre think tank in France, data property should logically follow the evolution of property rights, land property, financial property and property of ideas, thus replacing the current figure of the “proletarian 2.0” at the heart of the value chain of the digital economy. The whole debate may revolve in fact about algorithmic determinism. Every algorithmic model is influenced by economic and financial interests. “Our” data is de facto monetized by all those massive, user-friendly platforms. The four billion profiles generated every three months by Facebook are derived from content that real people produce and let Facebook use. Even Zuckerberg himself admitted he cannot lock down his own privacy settings. Thus the key question that Libertarianism refuses to answer: If “self-ownership” is being configured as the future of our social contract in a secular world, how do we mere consumers profit from our rampant, digital marketization?